One meaning of our word showpiece is "an exemplar; a perfect specimen; an example of something that is qui_______tial (purest and most typical)." or an excellent example of something. And sometimes we use "showpiece" like an adjective: a showpiece event, a showpiece game, a showpiece song, a showpiece home, a showpiece exhibit. This word has a positive tone. And it has instant comprehensibility; say "showpiece" and everyone knows what you mean, even if they've never heard the word before. Here are some things we call showpieces: sporting events; houses and other buildings; novels; museum exhibits; songs, especially songs performed on stage; and monologues performed on stage. You can also call something a showpiece of something else: this fountain is a showpiece of downtown Kansas City; this game is the showpiece of the football season. Cross-stitched and framed in gold is Rainbow Row, the showpiece of Charleston. Their chicken madeira may not ever be the menu's showpiece, all squat and swimming in unseemly gravy, but it's absolutely delicious. Look away from the screen to explain the definition in your own words. You’ll know you understand what "showpiece" means when you can explain it without saying "piece de resistance" or "feature on display." Fill in the blanks: "_____ (remains or has become) the showpiece of _____." Example: "Bordered by trellises heavy with ivy, the walkway behind the welcome center has become the showpiece of the university, displayed first and most in every pamphlet." Designed by Rikki Tahta, this game has players battling it out to grab the throne. 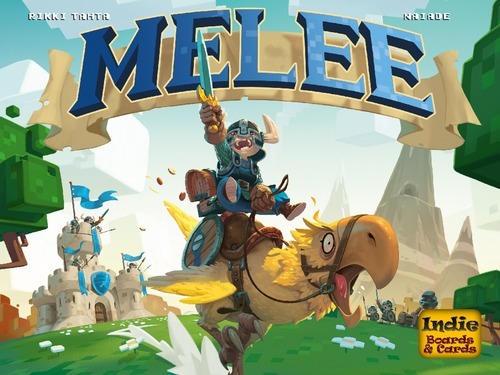 Board Game Geek reports, "Beware as the game can end suddenly with a bold attack on an inadequately defended castle, making for a game that can be very nasty, brutish and short." The game's title means "a brawl: an angry, confusing, hand-to-hand fight among many people." 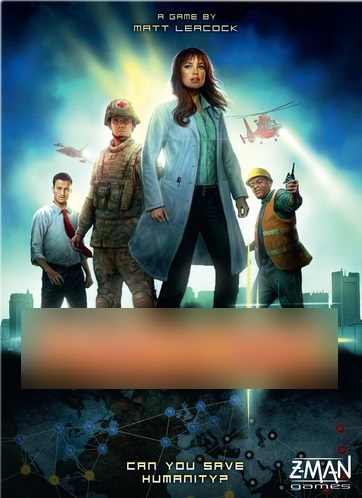 It's pictured below, with the title blurred out. What game is this? Answer: Melee. Check out the game here and the word here. 2. Cruise has become the cult's showpiece, _____.